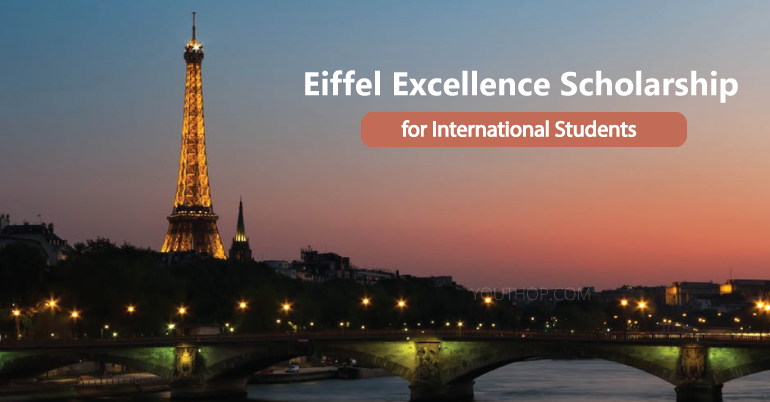 The Eiffel Excellence Scholarship Programme was established by the French Ministry of Europe and Foreign Affairs to enable French higher education establishments to attract top foreign students to enroll in their master’s and Ph.D. courses. It helps to shape the future foreign decision-makers of the private and public sectors, in priority areas of study and encourages applications from emerging countries at master’s level, and from emerging and industrialized countries at Ph.D. level. Subject to certain conditions, students may also benefit from a housing allowance, within the 3 months following the signature of the housing contract. In order to receive the first installment of the monthly allowance, students must have started their academic program at the host institution in France. An interruption of the scholarship implies an interruption of all benefits. Age: for master’s level, candidates must be no older than 30 on the date of the 2019 Campaign, that is, students born after March 1988. At the Ph.D. level, candidates must be no older than 35 on the date of the 2019 Campaign, that is, students born after March 1983. Levels of study: scholarships are granted to candidates wishing to enroll in a master’s program, including at an engineering school, and for Ph.D. students. The Eiffel Program does not apply to French-run master’s programs abroad. Eiffel Ph.D. scholarship: Institutions may nominate a candidate who was previously awarded an Eiffel scholarship at master’s level for a scholarship at Ph.D. level. Candidates who have already been awarded an Eiffel scholarship during their Ph.D. cannot be awarded a scholarship for the second time. No application will be accepted for any student already rejected at an earlier application campaign, even if the application is submitted by a different institution or in another field of study. Deadline for the reception of applications by Campus France: January 11th, 2019.